| Beauty rituals and obsessions. 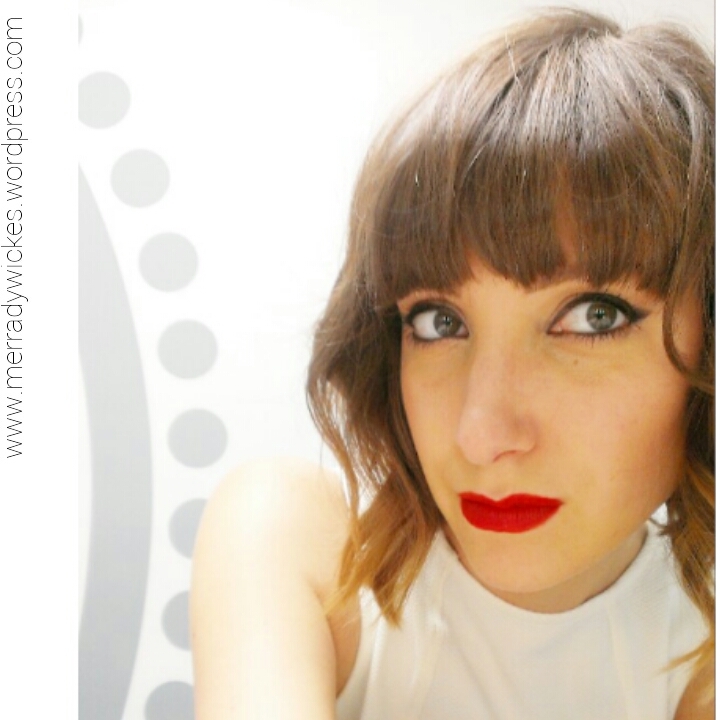 This blog has officially moved to http://www.MERRADYWICKES.com ! Can’t wait to see you on the new site. Full disclosure, I’m not a fan of tinted lip balm. I want my lipsticks to be LIPSTICKS, and I tend to reach for the Kjaer Weis blushes for my lips. So imagine my surprise when I actually LIKED these! 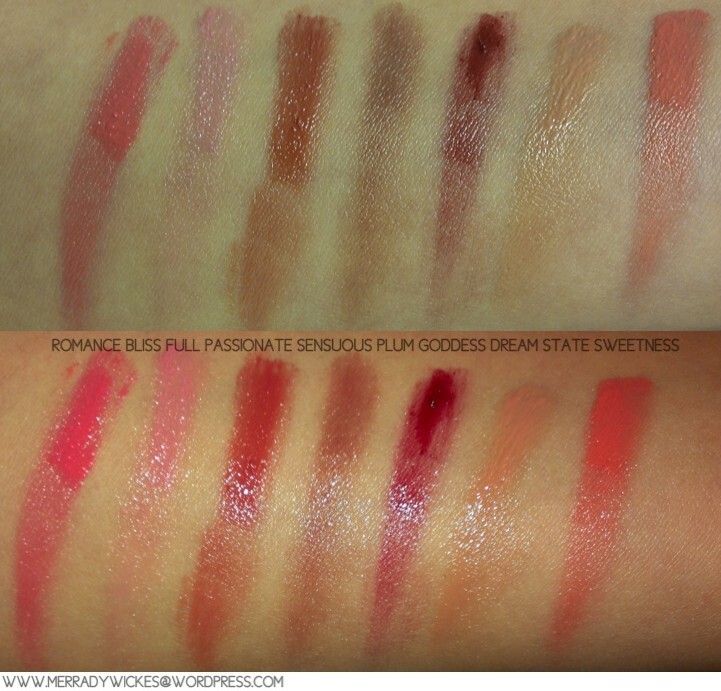 The color in the pan is VERY different to the color you get on your lip, so I really wanted to swatch these for anyone ordering online. My unexpected favorite was the Sensuous Plum. Soft but slightly moody. The founder of Kjaer Weis, Kirsten, told me she is one of (many) women who always applies lip balm before lipstick. But there were so many lip balms available, and she wanted something special. Velvety smooth, slightly sweet, and encased in a heavy metal alloy refillable compact, I think she nailed it. A very casual take on a “suit”. 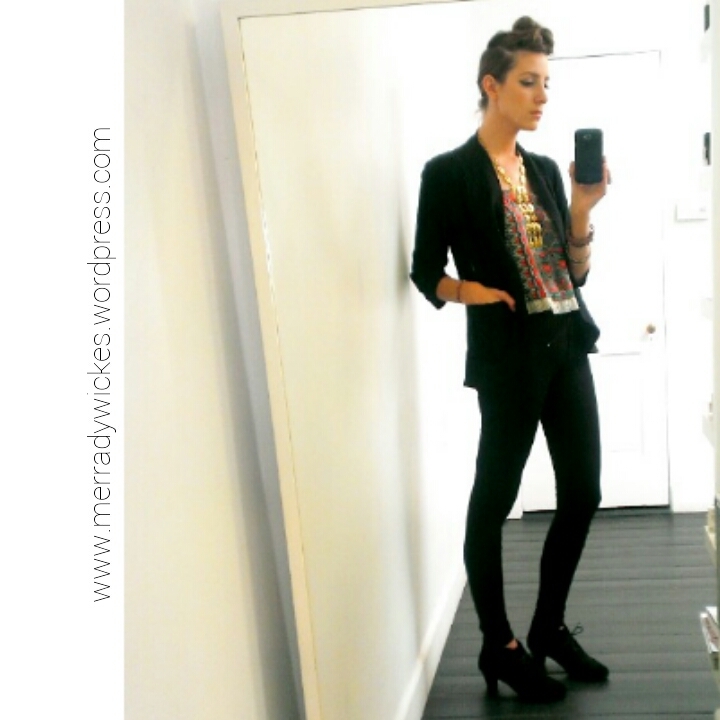 Black ASOS high waisted skinny jeans, tribal print blouse from Nordstrom Rack, Urban Outfitters cardigan blazer, and a vintage necklace. Masculine and glam rock vibes to compliment the hair! The best part about growing out a bob is when you can finally pin it up! I was inspired by Chris Mcmillan’s article in Allure about 80’s throwback hair where he featured a gorgeous faux undercut look. I rushed my version and ended up with a disheveled pompadour or a very messy victory roll, but I love it! I felt super tall, and a little bit weird all day, which means I’m pushing my style boundaries (in a good way). I kept makeup light to balance all that drama on my head. It’s super easy! Create a part on each side anywhere from the temple to the brow arch, and gather that hair into a ponytail on top of your head. Slick the remaining hair into a super tight low ponytail and secure with an elastic. I used a clear one. 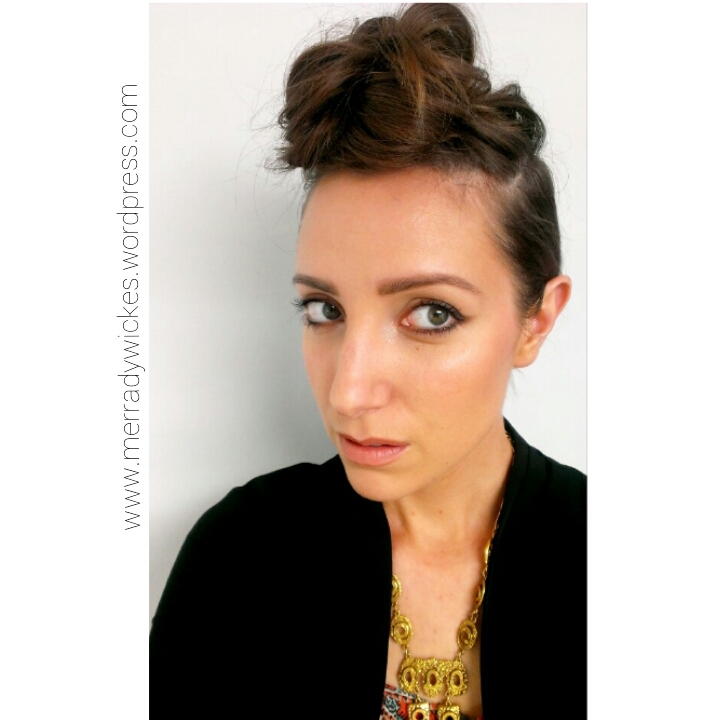 Twist that low pony and pin it against the back of your head almost like a tiny french twist. Now you can let the top hair out, and depending on your length and texture you can add a few curls or pin a few random pieces to create height. I did 2 or 3 mini victory rolls, rolling sections away from my face, pinning them down, and then messing them up. Add lots of hairspray, and voila! A very fun style for 2nd or 3rd day dirty hair. Just got this white blouse in from Topshop, and I love it! The fabric is almost a waffle weave, there’s an exposed zipper in the back, and the darting and flared shape make it feel very 60’s to me. 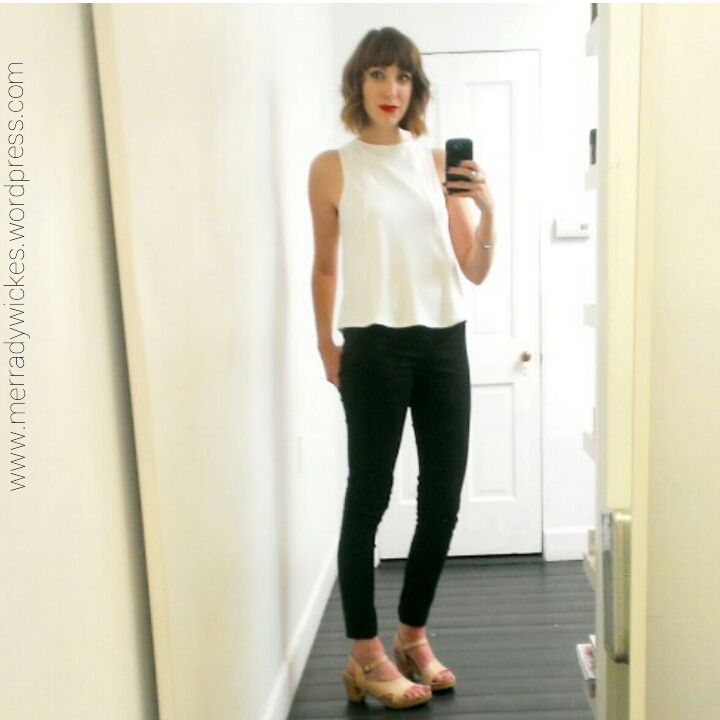 The black skinnies are Vera Moda from ASOS, and they have been worn to DEATH. I recently braved RIT dye just to perk them up. Granted, this is one of my go-to looks, but I love to tweak it every time. I skipped highlighter, keeping the face a little more matte. Wearing white will wash out your complexion, so I used a very healthy dose of ballet pink blush. Black shadow over a liquid liner keeps this soft and not too graphic. 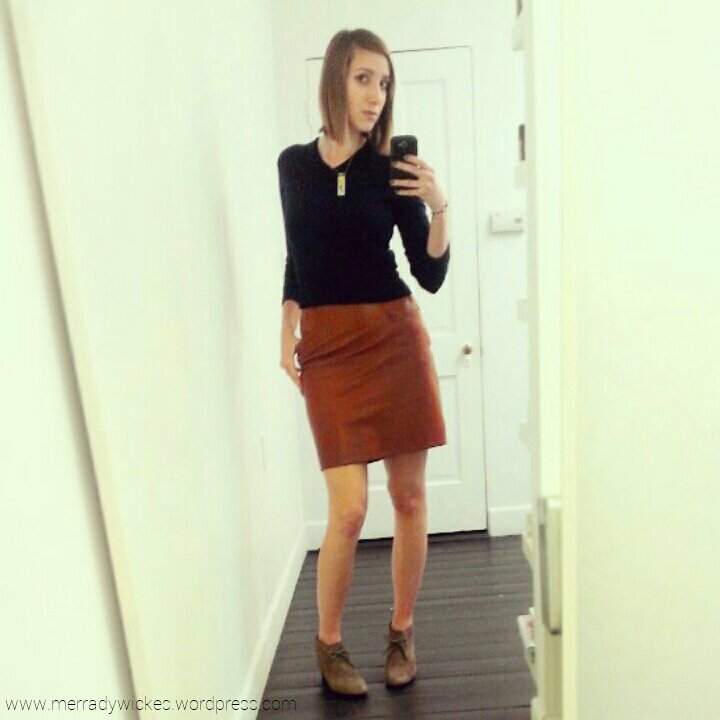 I thrifted this vintage camel leather Saks Fifth Avenue pencil skirt for $5, and the navy cropped sweater for $2. Wearing this makes me want to go thrifting! p.s. I like how just one bobby pin turns my shag hair into Margot Tenenbaum.